What could be a more perfect challenge for a cinematographer than depicting blindness? 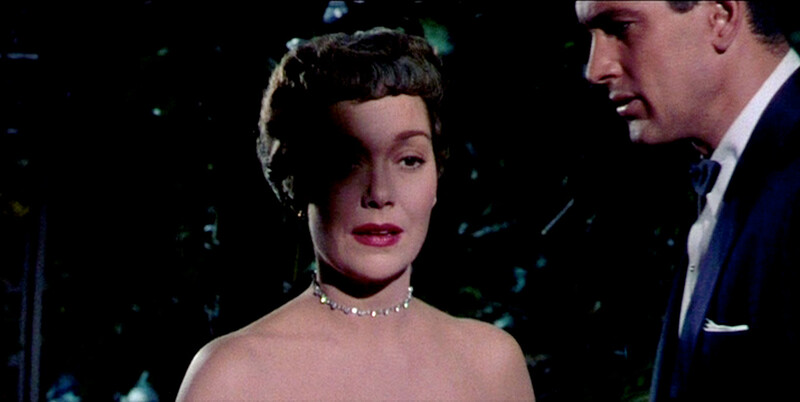 In Douglas Sirk’s 1953 film Magnificent Obsession, the subjective experience of the blind Jane Wyman character is one of the main drivers of the plot. The film is a lush, over ripe melodrama where Wyman unknowingly falls in love the man who accidentally caused her blindness, and the earlier death of her husband. The man is Rock Hudson. I did say it was a melodrama. The film was shot by Russell Metty, one of the great cinematographers, who worked with Sirk in ten movies, and also with Welles, Kubrick, Vidor and everyone else. Metty created an astounding visual scheme for Obsession. 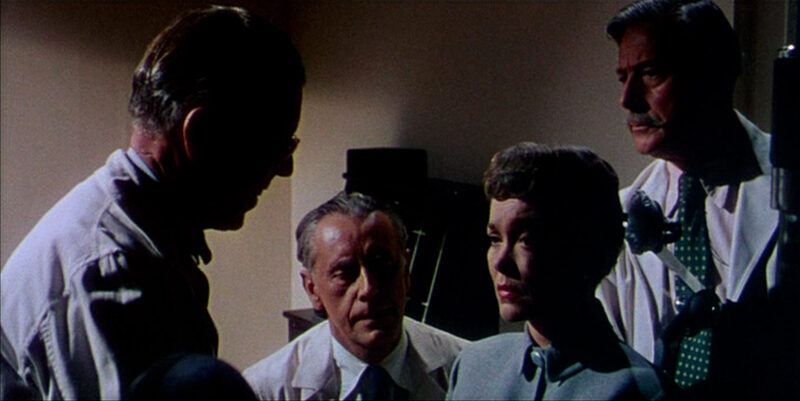 For many of Wyman’s scenes he used darkened sets punctuated by pinpricks of light or patches of single colour against black (see above). 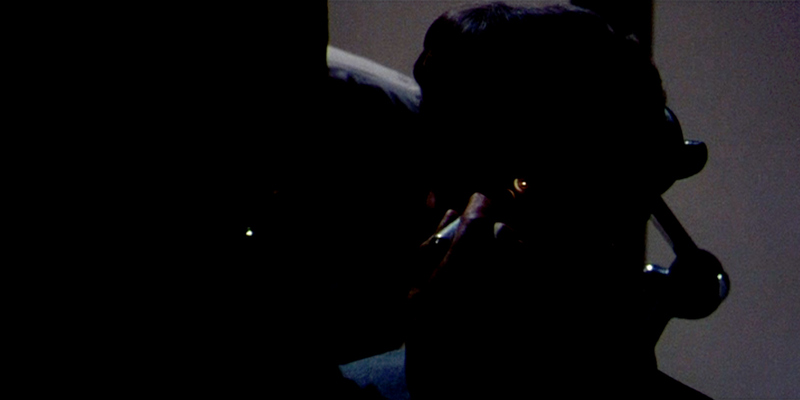 The lighting and mise-en-scene are very calculated. Several scenes are staged as tableaux and look almost like paintings; they make beautiful still photographs as you can see here. The film is worth studying for the way lighting and colour in photography can be used to convey ideas about narrative and character. Here are some examples, and you can click on the images for a closer look. 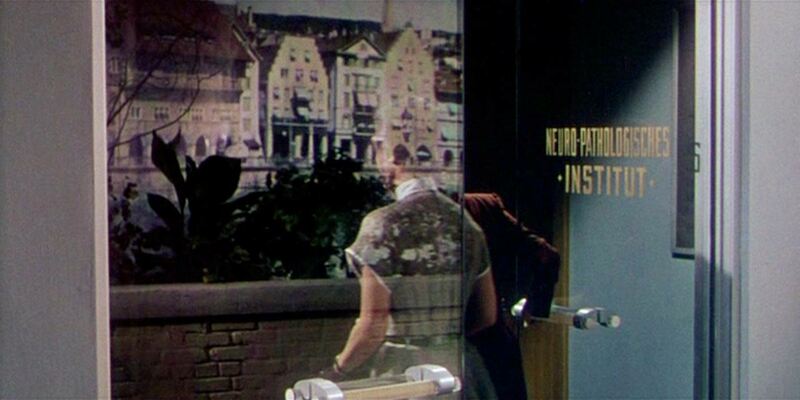 Entering an eye clinic, Wyman passes through sunlit buildings like a ghost, a streetscape reflected in the glass doors. In the eye clinic, the doctors are assembled as if in a Rembrandt group portrait. As they inspect her eyes with a torch, the screen darkens, and only the eye itself is lit, an eye that doesn’t see light. This image is a POV shot (point of view) from a blind person’s position, a strange idea when you think about it. The transparent curtain and half light suggest her experience of hearing someone enter a room without knowing who it is. 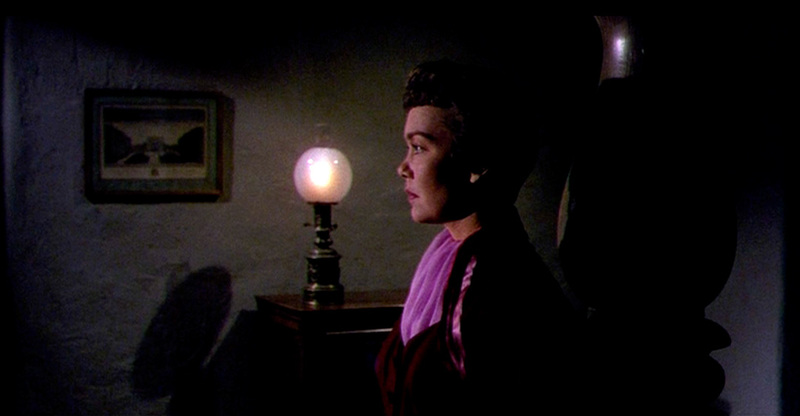 As Wyman rises from a table into the light, a shadow momentarily crosses her face: a bad memory briefly returning to her thoughts. A blind person can’t see flowers or their colour. If you are a cinematographer, how do you get around that? 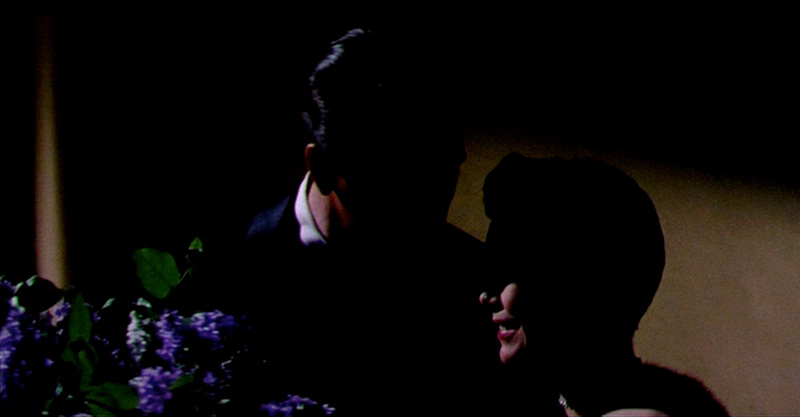 The website cinematographers.nl describes Metty’s “highly distinctive use of light and shadow … such that, as characters move around a room, they shift in and out of shadowed areas. 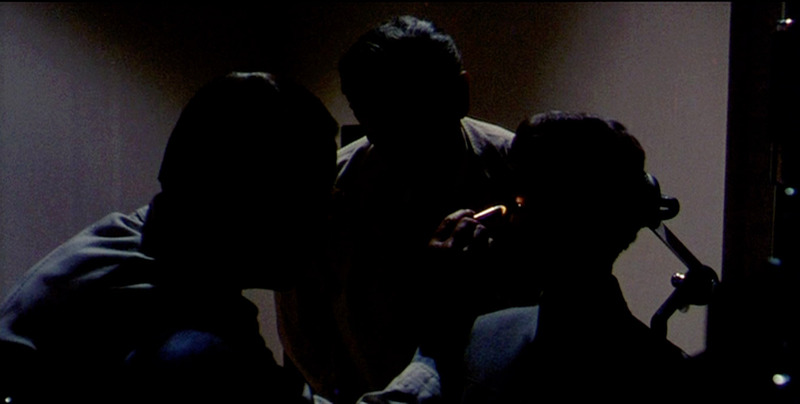 The effect is of constantly changing patterns of lighting, shading and silhouetting on faces and bodies which runs through the mise-en-scène like a rippling ‘painting with light’. It is great, you won’t be disappointed – if you like melodrama. 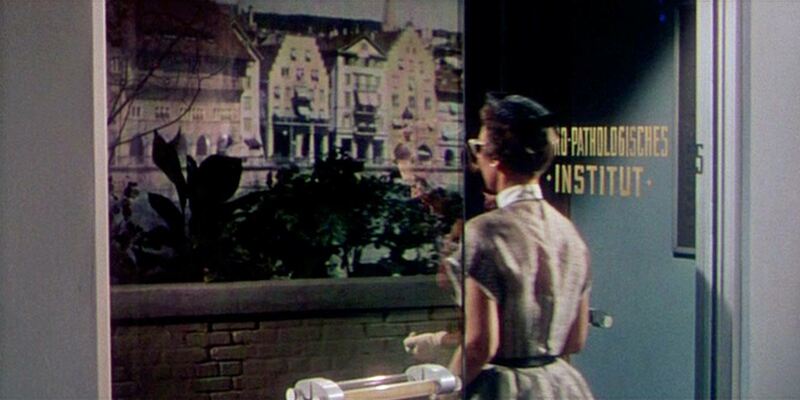 All Douglas Sirk movies are special, All that Heavem Allows, Imitation of Life, Written on the Wind. Let me know what you think.